Even if I should choose to boast, I would not be a fool, because I would be speaking the truth. But I refrain, so no one will think more of me than is warranted by what I do or say, or because of these surpassingly great revelations. Therefore, in order to keep me from becoming conceited, I was given a thorn in my flesh, a messenger of Satan, to torment me. Extraordinary religious experiences often come at personal cost. When Jacob wrestled with God, he hobbled away lame. When Paul entered paradise, he came away with a thorn in his flesh. Few remarks in Scripture have generated as much scholarly discussion as this one. Whatever the thorn was, the net effect for Paul was torment (v. 7). The present tense suggests frequent bouts. Paul’s stake was not an isolated episode. It repeatedly came back to plague him—like the school bully who waits each day for his victim to round the corner. The request Paul makes is for the thorn to be taken away (v. 8). Paul wanted nothing more to do with it. He does not make his request for selfish reasons. Verses 9-10 make it clear that whatever this painful disability was, it hampered Paul’s ministry and, to his way of thinking, the spread of the gospel. The reply Paul received was undoubtedly not the one he was hoping for: He said to me, “My grace is sufficient for you” (v. 9). The tense is perfect, denoting finality (eirēken). What God said to Paul was not subject to change or revision. The first thing to observe is that Paul’s request was not granted. The stake was not taken away. Instead he was provided the grace to bear it. This grace, Paul is told, is sufficient for him. The promise is that whenever the messenger of Satan afflicts him, he will be given sufficient strength to bear up. 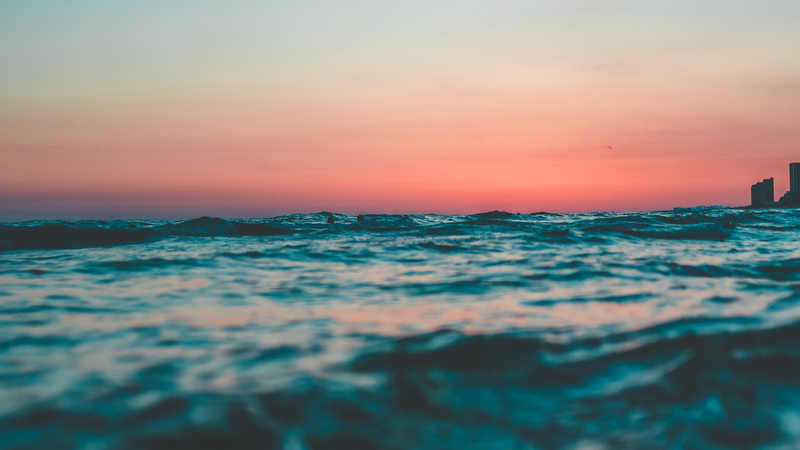 In certain circles within evangelicalism today, there is a belief that it is God’s will that everyone should be healthy and happy and that if healing does not occur in answer to prayer it is because a person lacks faith. This thinking clearly runs contrary to Paul’s experience. Without a doubt Paul had great faith, but his request for the removal of the stake was not answered. This is not to say that he didn’t receive an answer. He most assuredly did—My grace is sufficient for you. But it is not the answer the mindset focused on self and what God can do for me wants to hear. Yet hear we must, lest our witness to the world lack credibility and theological soundness. God’s grace is sufficient because his power is made perfect in weakness (v. 9). This aphoristic phrase is commonly taken as the theme of this letter—and not without cause. The fact that suffering is the typical lot of the gospel minister is a point that Paul tries repeatedly to drive home to the Corinthians (see the introduction). Those who preach the gospel “carry around . . . the [dying] of Jesus” and are “always being given over to death” (2 Corinthians 4:10-11). “There is a certain finishing and perfecting power in weakness” (Carpus 1876:178). Not that we are to cherish our infirmities. Weakness of itself will perfect nothing. But when the human vessel is weak, the divine power is especially evident, and the weakness proves to be a fine discipline (B. Hanson 1981:44). So far from hindering the gospel, Paul’s stake actually served to advance it. This is why he aims to boast only in his weaknesses (2 Corinthians 11:30; 2 Corinthians 12:5)—and he does it all the more gladly (v. 9). Paul not only has accepted his weaknesses and learned to live with them, but he also takes pleasure in them. Why? Because these very weaknesses afford the opportunity for the power of Christ to rest on him (v. 9). This is why Paul can go on to say, “I am content with my weaknesses”. Paul concludes with for when I am weak, then I am strong (v. 10). His statement has the character of a settled conviction rather than a rote repetition of God’s answer. But what does it mean? How can one be weak and strong at the same time? The paradox is noted by all. But the point throughout has been that Christ’s power is perfected in, not in spite of, weakness. We often think that without human strength we are destined to fail and without personal courage we are bound to falter. Yet good as these are, such qualities tend to push us to self-sufficiency and away from God-dependency. Samson was superlatively endowed with strength, but in the end this very strength brought about his destruction. Human strength is like the flower of the field that has its day in the sun but then shrivels up and dies. Enduring strength lies in God alone. This blog was adapted from the 2 Corinthians volume of the IVP New Testament Commentary, written by Linda L. Belleville. 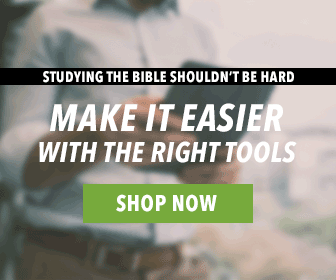 Want to learn more about the IVP New Testament Commentary? You can read about it and purchase it on our website. Tell us about your personal cost from extraordinary religious experiences in the comments. Fair point. The author of this commentary goes into much more depth than I did. As you stated, I think the point is that Jesus’ grace is sufficient. I agree with you only as far as the possibility that the messenger of Satan was tormenting him. There’s no reason to believe the torment had anything to do with the “souls he killed” because that’s just too speculative. What’s important to know is that he was tormented, he prayed but God opened his eyes to the sufficiency of His grace. Not only that, he even goes on to say that he would rejoice in his weakness so that God’s strength would be more evident in him. Should we say he’s rejoicing in the popported killings? No, we don’t know what this challenge was beyond the fact that it was a torment from the messenger of Satan. That should probably satisfy us otherwise we’ll be found chasing shadows. Thanks for your insightful blog. I love that Christ’s power is made perfect not through my strength but through what I can never do or be. That way only God gets the glory. I can claim nothing. This passage should strengthen all of us in our faith and our inability to achieve anything value to the Kingdom in and of ourselves. Like Paul we must rely on Christ’s strength alone. It is also a comfort to those who suffer and are not healed. My answer to those who like to tell others that they have no faith for their healing is that Lazarus had none! Some things are totally beyond our control and comprehension. Aside from what the thorn in the flesh was, Paul wanted it gone. When God came back with an answer that Paul didn’t want and perhaps didn’t expect, Paul clearly heard God speak and accepted the answer. I fear too often I keep praying for the answer I want rather than finding the grace to live out God’s answer. Perhaps this is what Jesus meant when He taught his disciples tp pray thy will be done on earth as it is in heaven. Paul clearly spells out his “thorn in the flesh” ; the walk that he was called to walk. But one thing that is needed in the body of Christ, that is unity. Re-reading this, which I found extremely useful, made me reflect a little more on this story. Just a thought though, and not contradicting any body else’s comments, but I found it helpful that Paul revealed his humanity in that he didn’t ask just once, but three times, for his ‘thorn’ to be taken away. Gives me hope to think along those lines when I pray about things that are personal!